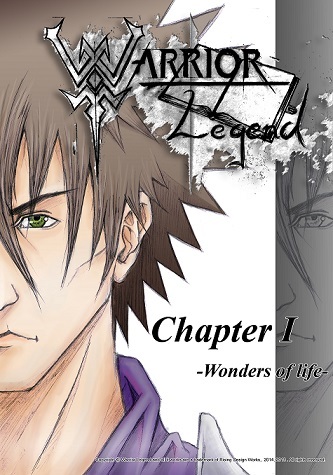 Warrior Legend Manga Universe: Unique Manga Design T-shirts plus Bonus! 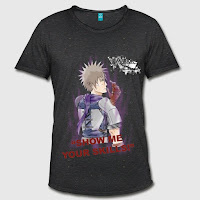 Unique Manga Design T-shirts plus Bonus! Finally, the two first Warrior Legend T-shirts designs are available just for you anywhere in Europe! There has been some demand on t-shirts for WL, and I always wanted to do this kind of things so it's a great opportunity for the both of us and there will be more design coming later on in the process. If you have any wishes for a design be sure to let me know in the comment section! And as I mentioned in the previous post, the t-shirts are based on designs from the WL manga, but with a slight twist being a more casual theme at the same time. Be sure to click the images and go shopping! 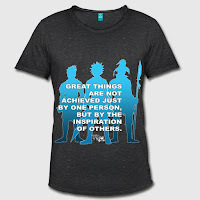 This is my first time into the t-shirt market like this the Spreadshirt website does take care of most of the work here for me and you so I don't have to mess up any. Payments through credit card or Paypal, delivery through mail service in your country, and service happen through their systems with a max of 48-hour reply, for me not to worry too much about yet more stuff! (Great! If any trouble let me know!!) I have ordered a few myself to see how they work out as well, I'm the biggest fan! Click on the images or just go to spreadshirt.no or to your country URL. In the search field on top, you should be able to Search for Warrior Legend Manga and have the t-shirts shown on top or choose the tab for "newest" while searching otherwise. If you have any troubles let me know! Choose type, size, color and then check out! Looks like you are interested! When you order a product or a t-shirt from my WL designs. Forward me the order receipt. Then I'll be able to send you a PDF with the Manga for FREE, as a big thanks to you for the support. Order now so you don't miss out on this great opportunity before Wednesday 8th of August! Note: If so you happen to be one of the guys that already got WL Chapter I let me know in the e-mail and I'll provide the WL Character Profiles book for you instead! Looking forward to your order email confirmation, just forward the receipt and you will within few days receive the Manga PDF. New tees are about to arrive, excited now!